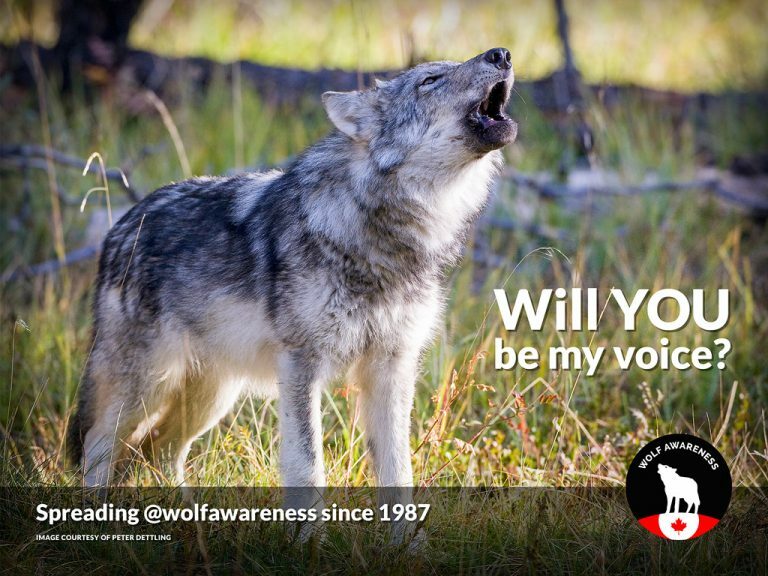 One quick way you can take action, right now, to speak up on behalf of wolves in BC is to fill out this quick survey at wehowl.ca. But killing wolves won’t repair what’s been damaged. Instead of protecting the homes and habitat caribou require, industrial interests have been allowed to trump conservation, ecology and ethics. Over the winters of 2015 & 2016, a minimum of 288 wolves were killed in BC – most often through callous methods that prolonged suffering – under the guise of conservation. More than $1.5 million tax dollars have been spent on aerial gunning wolves, despite no evidence to show this is increasing caribou numbers. 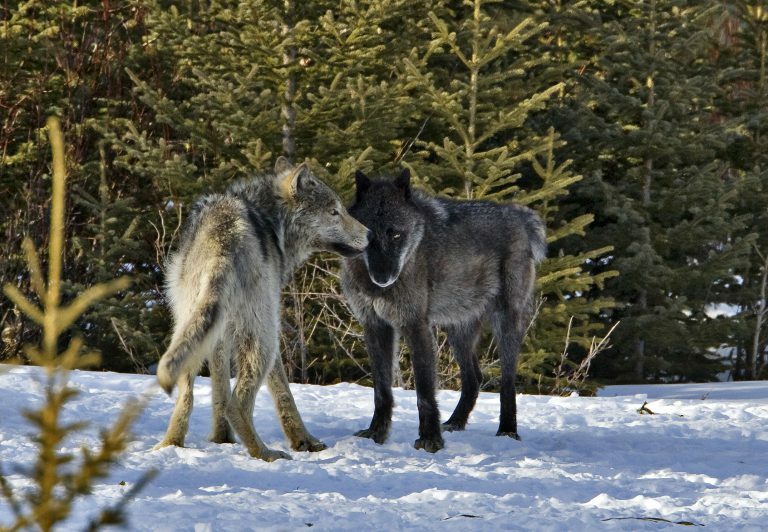 In fact, there is a lack of scientific evidence that wolf kill programs will increase caribou populations. Scientists and governments recognize that caribou populations are low because of ongoing destruction and impoverishment of the habitat they need to survive. Yet destruction and impoverishment of critical caribou habitat continues for industrial and recreational interests. 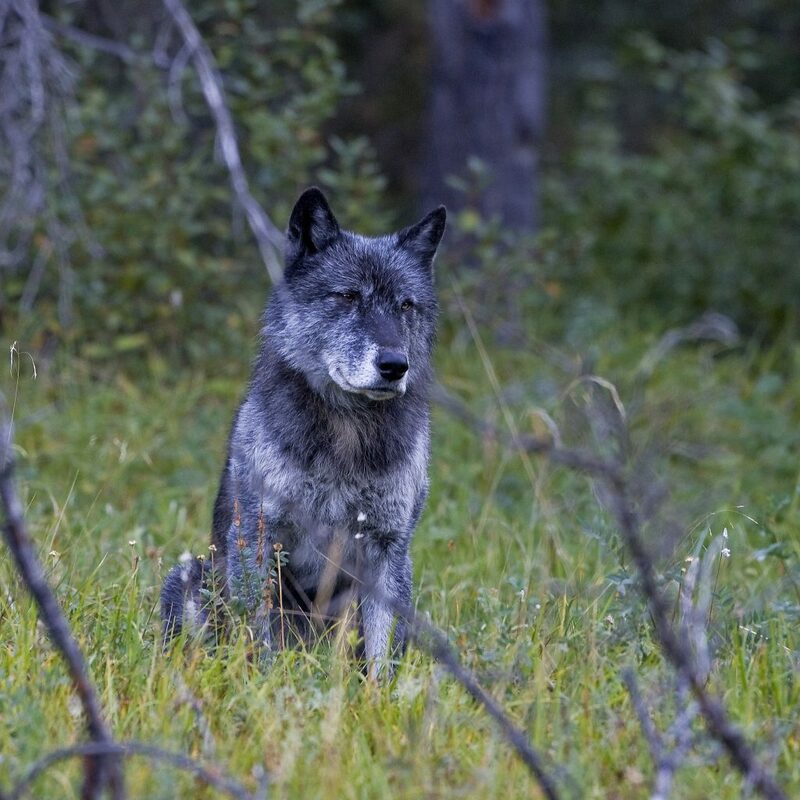 Killing wolves over a prolonged period creates major ecological repercussions that negatively impact many plants and animals in the ecosystem. If you haven’t already, please take the 5-minute survey (it actually only takes 3 minutes) at wehowl.ca. Wolf Awareness Inc. is a non-profit charitable foundation, established in 1987, whose primary goal is to promote positive attitudes towards predators in general, the wolf in particular, and to foster an appreciation for the environment of which we are all a part. They achieve their mission through the development and implementation of educational programs and by supporting scientific wolf research. Please visit wolfawareness.ca for details. Maryanne Pope is the author of A Widow’s Awakening, the playwright of Saviour and the screenwriter of God’s Country. Maryanne is the CEO of Pink Gazelle Productions and Chair of the John Petropoulos Memorial Fund. If you would like to receive her regular weekly blog, please sign up here. The number of monarch butterflies wintering in Mexico dropped by 27 percent this year, reversing last year’s recovery from historically low numbers, according to a study by government and independent experts released in February 2017. The experts say the decline could be due to late winter storms last year that blew down more than 100 acres (40 hectares) of forests where migrating monarch butterflies spend the winter in central Mexico. 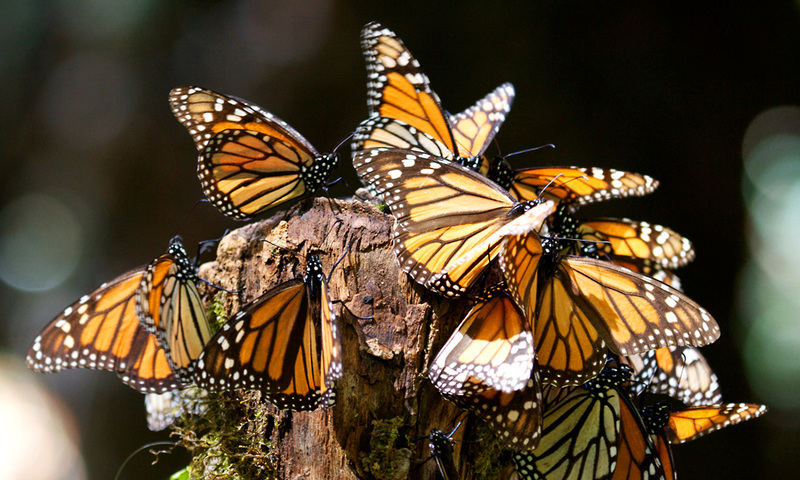 Millions of monarchs make the 3,400-mile (5,500-kilometer) migration from the United States and Canada each year, and they cluster tightly in the pine and fir forests west of Mexico City. They are counted not by individuals, but by the area they cover. 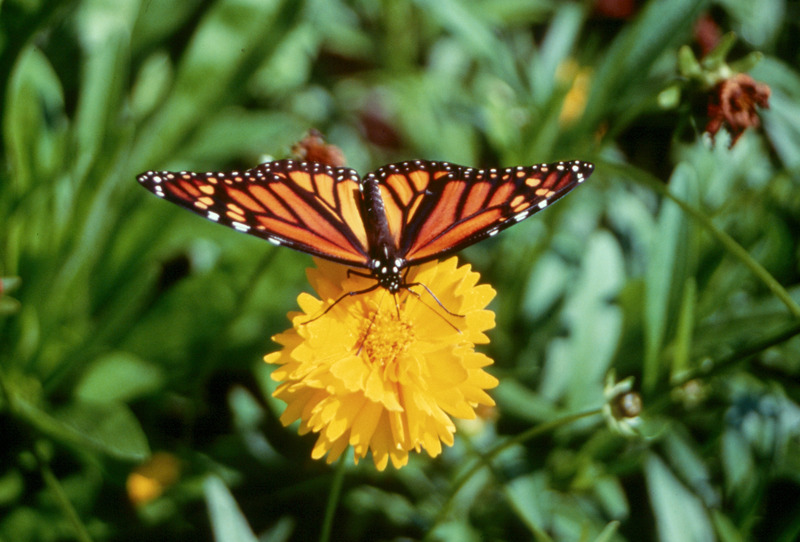 Another problem has been the loss of milkweed—the plant monarchs rely on for food—in the United States and Canada, because of the increased use of herbicides and the conversion of land to development. The loss of forests in Mexico and milkweed north of the border has proved devastating. For further details, please click here to read the entire report. 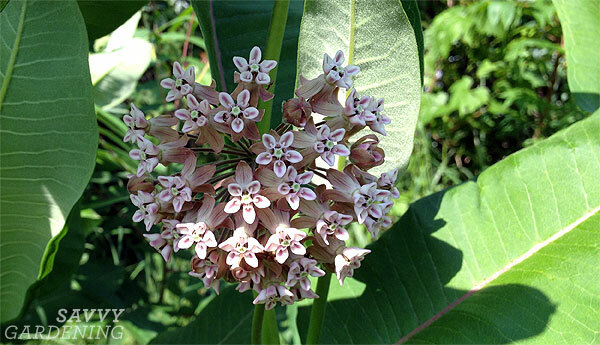 Plant milkweed in your garden! 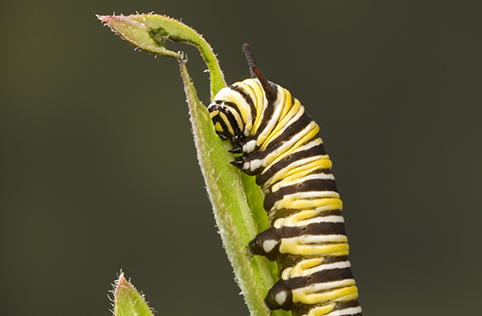 In their early caterpillar stage, the monarch’s source of food is the milkweed plant (World Wildlife Fund). Butterflies will usually lay their eggs on milkweed plants so that once they hatch, the caterpillar can start feeding on the milkweed leaves. Once the butterflies turn into adults, they can start sipping the nectar from the flowers. One place you can order milkweed seeds on-line is through the Save our Monarchs website. The goal of the David Suzuki Foundation’s Butterflyway Project is to provide food and shelter for butterflies and bees by establishing a network of wildflower patches through neighbourhoods across Canada, starting in five cities in 2017. This Mother’s Day, send the moms in your life a beautiful, original card. Your gift will help the Butterflyway Project welcome butterflies and other pollinators across Canada. For further info on all things pertaining to milkweed and Monarch butterflies, please check out this link. Face the Future is an on-line environmental awareness campaign that raises awareness about how and why individuals can lessen their environmental footprint one step at a time. The 2017 blog series runs from Mar 24th to Apr 28th. To receive the weekly blogs via e-mail, here is the link to subscribe . Face the Future is an initiative of Pink Gazelle Productions Inc.
Earth Day is Saturday April 22nd! This year marks Canada’s 150th birthday and celebrations across the country are highlighting our great outdoors. At a time when most children spend less than an hour per day outside, Earth Day Canada is asking everyone to “EarthPLAY for Earth Day 2017” by getting outside to connect to your nature! Remember how you played as a child? 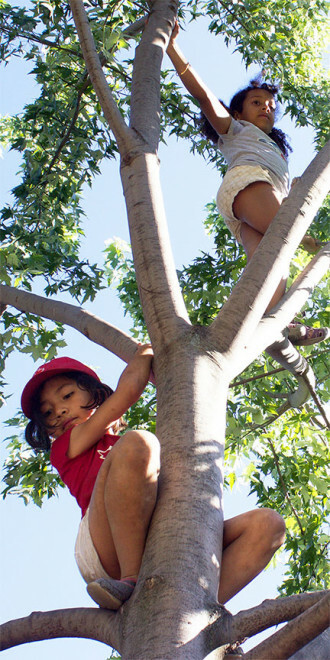 Did you spend a lot of time outside, building forts, climbing trees, inventing new games and getting your hands dirty, without any grownups interfering? But according to Earth Day Canada, this type of play is rapidly disappearing from our world. Why does Earth Day Canada care so much and why should you? Because kids who don’t get outside, who aren’t stimulated by their environment, won’t grow up with any motivation to protect our planet. And kids who don’t connect to their inner nature through creative play won’t be as resilient as generations before them. That’s why Earth Day Canada is dedicating this year’s campaign to outdoor play. 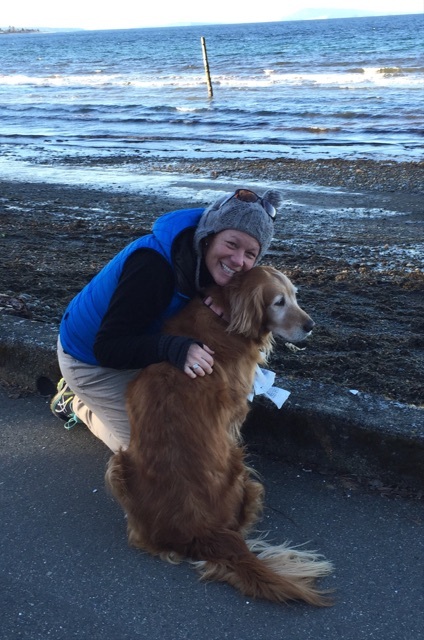 Founded in 1990, Earth Day Canada is a national charity that inspires and supports people across the country to connect with nature and build resilient communities.